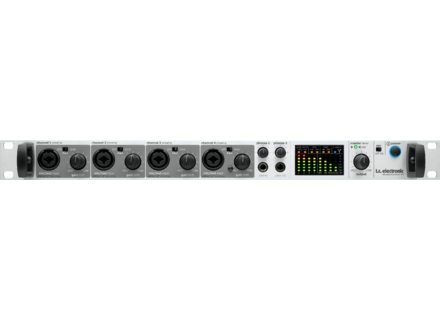 Studio Konnekt 48, FireWire audio interface from TC Electronic in the Konnekt series. The TC Electronic v3.0.0 software is a maintenance update for the Konnekt and Impact Twin interfaces. It fixes several issues on Mac and Windows, including bugs in the panel control, plug-ins, PowerCore Fabriks... It also brings Mac OS X 10.8 Mountain Lion compatibility but Mac PPC lose their support. The update is available for download from www.tcelectronic.com/support/software/ for Desktop Konnekt 6, Digital Konnekt x32, Impact Twin, Konnekt 24D, Konnekt 8, Live and 48 users. -50% off McDP FutzBox for 2 days Until tomorrow night, you can get the McDSP FutzBox plug-in at half price. Twisted Lemon launches SideKick5 Twisted Lemon announced the availability of the fifth version of its SideKick sidechain plug-in for Mac OS X and Windows. New sampler by New Sonic Arts New Sonic Arts has launched Nuance, a new sampler player for Mac and Windows available at a special price until the end of the month.